Greta Kline of Frankie Cosmos. Photo by Macey Norvell. 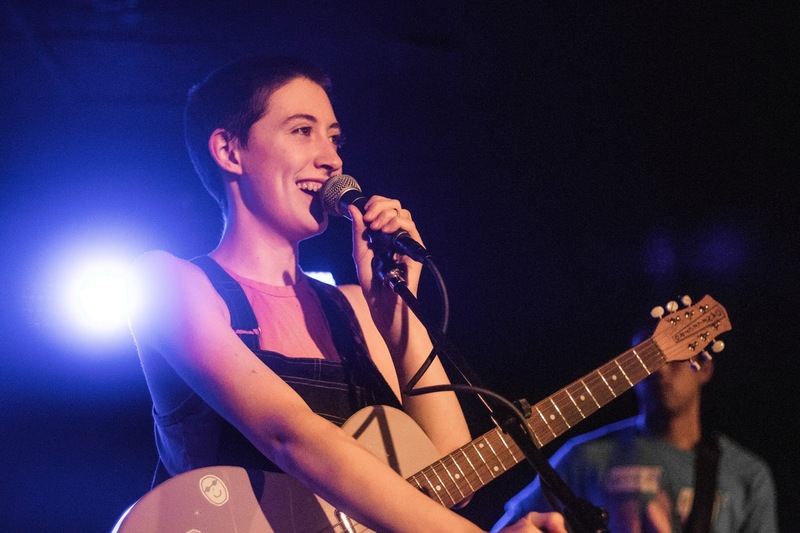 Frankie Cosmos delighted fans with a show at The Bottleneck on Wednesday night. Lead singer Greta Kline's vocals and quirky lyricism served as a perfect complement to the band's short, simple songs. Though she complained about losing her voice due to relentless touring, Kline sounded true to the band's recordings and managed to bring a bubbly energy to the performance. Ian Sweet captivated the crowd with melancholy lyrics and instrumentation and Nice Try kicked off the evening with a quick set of danceable rock tracks.